Milwaukee M18 BID 1/4in Compact Impact Driver measures only 140mm in length making it ideal for working in confined spaces. A high performance 4-pole motor delivers maximum power whilst maximising the power to weight ratio. REDLINK PLUS™ intelligence, providing total system communication with overload protection to increase the tool's life. The heavy-duty full metal gearbox and gears provide superior durability and maximum torque. The 1/4in hex drive with click lock allow single hand loading of the bit. 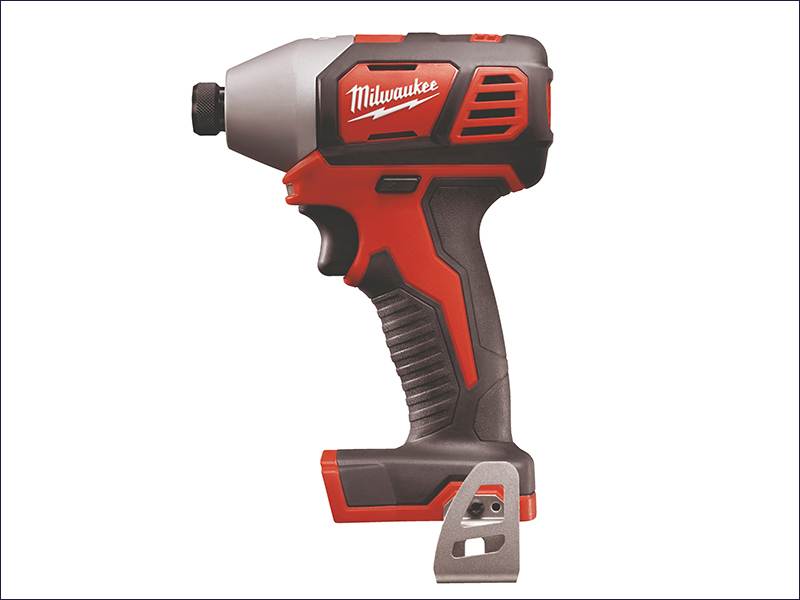 The Milwaukee M18 BID-0 Compact Impact Driver is supplied as a bare unit. No battery or charger included.